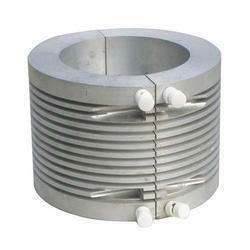 We are leading manufacturing and supplying firm of a diverse range of Cast Aluminum Heater. We are renowned for manufacturing and supplying a diverse range of Cast Aluminum Heater. These are widely used to apply heat by conduction to barrels, dies and cylinder surface. Our range of product is made using high grade material that is procured from certified vendors and complying with international quality standards. These cast aluminum heaters are available at market leading prices to our clients. 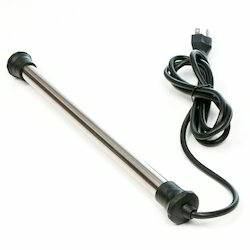 Being a customer focused organization, we are engaged in offering an unparalleled range of Titanium Heater. These products are appreciated for their outstanding and flawless performance. The offered range is utilized for different purposes like hot runner nozzles, bushings, tube extrusion and pipe forming.